This page shows the latest Lyxumia news and features for those working in and with pharma, biotech and healthcare. Sanofi's lixisenatide-only drug Lyxumia has been on the market in Europe since 2013 and was approved in the US by the FDA as Adlyxin in July this year. Lyxumia (lixisenatide) - helped more patients with type 2 diabetes reach post-prandial glucose targets than Lantus. Lyxumia (lixisenatide), and has extended its review period by three months. Approximately 12 fully matching, plus 27 partially matching documents found. Its lead product is the GLP-1 agonist lixisenatide, which is licensed to Sanofi who markets it as Lyxumia for the treatment of type 2 diabetes. 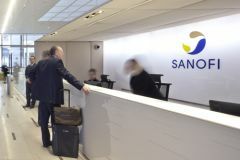 The appointment comes at crucial time for Zealand, with its diabetes partnership with Sanofi set to pay off as the big pharma company gears up to launch Lyxumia (lixisenatide) this year.